Shoppers say they are not surprised to find out a bank was robbed inside a busy Summerlin shopping center. 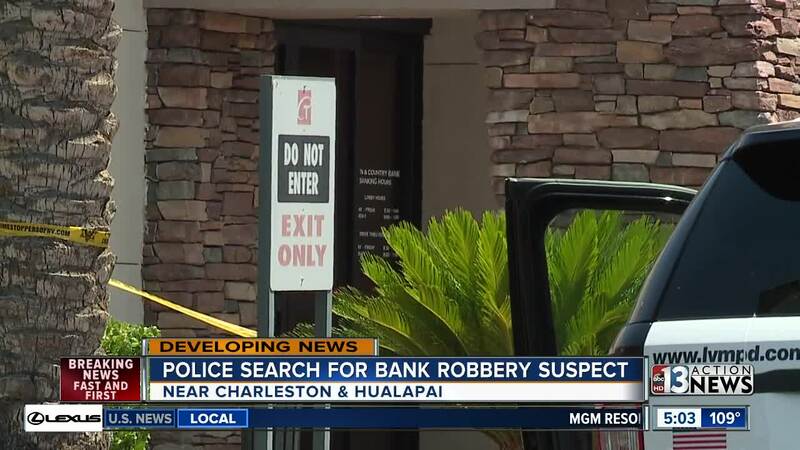 Las Vegas police officers had yellow crime scene tape surrounding the Town and Country Bank near Charleston Boulevard and Town Center Drive for a robbery investigation Tuesday. Police say the suspect drove off with an undisclosed amount of cash. The suspect is described as a man in his mid 40s, medium build, with blonde spiky hair. Folks who shop at some of the neighboring businesses near the bank say despite popular belief, that crime in this part of the valley is getting worse.